Comment Capture is one of the most powerful tools available for increasing your audience growth on Messenger. 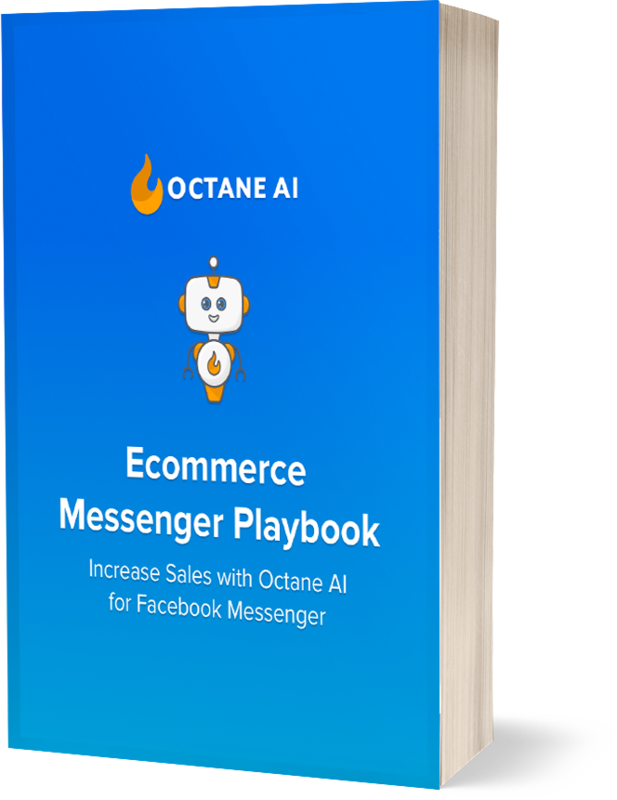 By creating a Facebook post through Octane AI, you’ll have the ability to usher anyone who comments on that post into becoming a new follower of your bot. Curious how it works? Continue reading for expert tips on gaining new followers with Comment Capture. Comment Capture is a series of steps that begin when you submit your Facebook post through Octane AI’s Comment Capture feature. BUT, Comment Capture doesn’t end there. 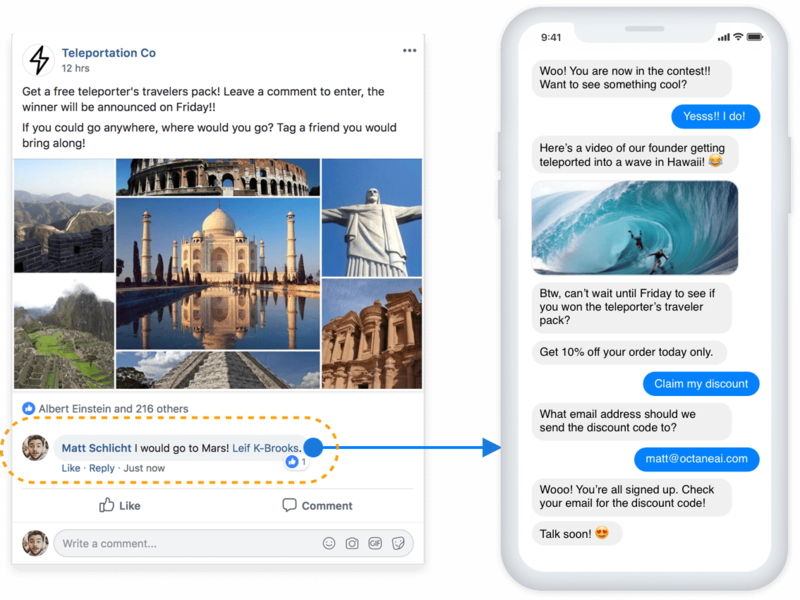 In fact, that message from your bot is only the first step in a chain of commands that convert your Facebook commenters into Messenger followers. After they type something, if this is the first time this person has interacted with your bot, it’s at this point that you’ve just gained a new follower. Your Welcome Message will immediately display for this person. Now that you know the standard operating procedure, it’s time to get to work. It’s valuable to understand the Comment Capture flow so that you can use the mechanics of each step within that flow to your advantage in growing your Messenger base. Emojis will work a-okay in your Facebook post, but don’t place them in your First Reply, or the Comment Capture won’t go through. You don’t have to tell them to type “anything” or “something”--you can ask your fans to type a specific word, too. But you *do* want to encourage your fans to type in a message once they receive your First Reply, so that they then complete the flow and become a Messenger follower. Everyone who completes the Comment Capture flow will see your Main Menu at the end of the flow, so be sure to have your most important calls to action front and center in your menu before submitting your Comment Capture post. Finally, you have gone to all the trouble of learning how this Comment Capture gadget works, so don’t be shy in using it! One of the most straightforward and powerful ways of generating comments on your Facebook post is to ask your fans a question they’re compelled to answer. You can make this a personal question that helps you get to know your fans better, a question that asks whether your fans want more information, or a question that prompts an opinion. Point is: ask for a comment, and you shall receive. Your Facebook fans will receive a message from your bot if they comment on your post with a GIF or emoji, too. These are sometimes faster and more fun for your fans to respond with, and may result in more comments if you request them in your post. Double the fun by encouraging your Facebook fans to tag a friend in their comment. This will widen your post’s reach and maximize your chances for receiving engagement. Boosting your Facebook posts is a paid way to make sure more people see your posts. Target the right audience and watch your comment count increase even more. You're all set now to win lots of new Messenger followers with your next Comment Capture post. Have fun!